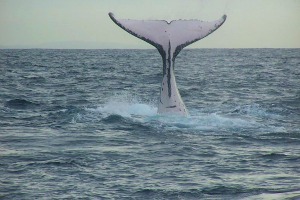 Winter Whale Watching Deals in Virginia Beach...Here's How! 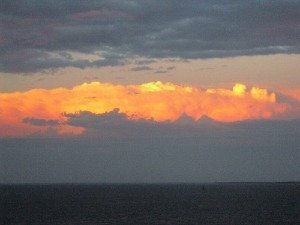 It may not be beach weather...but wintertime means whale watching time at Virginia Beach...and I've got package deals for you. The mercury may be dropping, but the whales are rising...to the surface that is, as they make their winter migration trek to warmer waters. Now's your chance (the end of December to mid-March) to see rare fin and humpback varieties-- some up to 85 feet long and weighing 70 tons. For details, go to www.theoceanfrontinn.com. Through special excursion/education packages like this, you'll learn what brings these beautiful mammals so close to the Virginia Beach shore, as well as what's being done to protect them. It's an awe-inspiring experience. Plus, with your admission to Virginia Aquarium you'll be able to enjoy one of the world's most exciting and cutting-edge aquariums, featuring sharks, harbor seals, sea turtles, and other amazing sea creatures. The aquariums exhibits include touch tanks, nature walks, and creek cruises...not to mention one of the largest aquarium "walls" I've ever seen. For a taste of what you'll see at the Aquarium, click here. Packages are available December 28 through March 15. Price is based on availability and double occupancy, and rates are per person (taxes excluded). For more information, call the Virginia Beach Whale Watching Information Hotline, toll free, at 1-866-599-4253. The Barclay Cottage Bed and Breakfast also offers a package that includes accommodations, the excursion, admission to the Virginia Aquarium, and dinner at Rockafeller's Restaurant. For details, go to www.barclaycottage.com. If you're not looking for a hotel package and just want to take a whale, dolphin, or winter-wildlife excursion, you have options for that too. Rudee Tours on Rudee Inlet offers ongoing cruises throughout the year that won't break the bank. Rates vary, but for example, a two-hour dolphin cruise is @$21 for adults and $15 for kids. Winter wildlife tours run the end of December through mid-March. For details and the current schedule, call 757-425-3400. And to learn about more Rudee Inlet activities-- including parasailing and jet skiing-- click here. 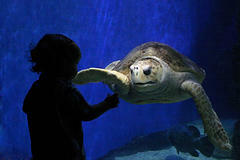 Or, take advantage of Winter Wildlife Boat Trips at the Virginia Aquarium narrated by Aquarium educators. Besides (hopefully) seeing whales, you'll see brown pelicans, cormorants and other sea birds, plus cruise by local sights like Cape Henry Lighthouse. Rates are $28 for adults and $24 for kids (ages 4-11).